Goa Chief Minister Manohar Parrikar will go to Mumbai for a health check-up and if needed, could travel overseas for further treatment on doctors' advice, Chief Minister's Office (CMO) said on Monday. 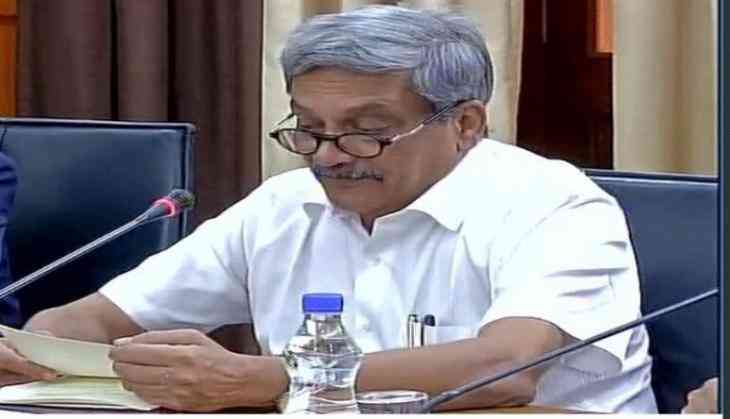 "Hon'ble Chief Minister @manoharparrikar will be travelling to Mumbai today for further medical checkup and based on doctor's advice may travel overseas for further treatment," CMO Goa tweeted. Before heading to Mumbai, he called a meeting with Chief Secretary, Dharmendra Sharma and Principal Secretary to CM P. Krishnamurthy and formed a cabinet advisory committee to take administrative decisions in his absence. Parrikar was hospitalised at the Lilavati Hospital in Mumbai on February 15 following mild pancreatitis problems and was discharged from there on February 22. On the same day, the Chief Minister presented the state's Budget at the Goa Legislative Assembly. Parrikar was later re-admitted to the Goa Medical College and Hospital for observation.